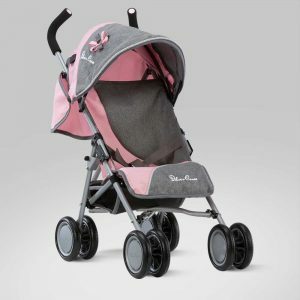 Which Silver Cross Dolls’ Pram Or Pushchair Is Right For You? Our brand new and exclusive range of Silver Cross dolls’ prams is finally here, allowing you give your little one the gift of imagination and treat them to an authentic pram which looks just like mum or dads. Above all though, doll’s prams are a fun gift for any child and a chance for them to escape into their own world and enjoy themselves. 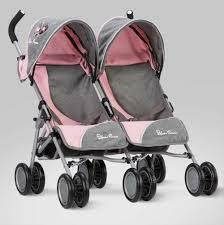 But how do you choose the pram which is right for your son or daughter? We’ve put together this comprehensive buyer’s guide to help you. We’re going to look at some of the questions you need to ask yourself before making a decision, to help you make the right decision for you and your little ones! A classic stroller-style pram is one that you’re most likely to see a younger baby in and usually has ample storage space down below too. They’re usually fairly lightweight and easy to push around and can be collapsed down for easy storage and transportation. A doll’s pushchair is modelled on those used for older babies and toddlers and is more lightweight and manoeuvrable than a stroller. (If you can’t decide between a traditional stroller or a pushchair, there are also combination options available which can be converted from one to the other, such as our Pioneer 5 in 1. If your little one has more than one doll or teddy to look after, then they’re sure to want a twin pushchair, whether this seats two dolls side by side or one behind the other. Doll’s prams come in all shapes and sizes and to ensure that your child has one which they can comfortably and easily push around, it’s important to make sure that you get the height right, specifically the handle height. The handles need to be at a comfortable height so that your child isn’t reaching up on their tiptoes to push it, but equally that they aren’t stooping down either. A great feature of some doll’s prams, such as our Pioneer and Sleepover models is that they have adjustable handles, from 44 to 76cm and 54 to 87cm respectively, meaning that your little one can keep playing with them as they grow up. On that note, we find that lots of parents worry about whether their child is ‘tool old’ to be playing with a doll’s pram, but to that, we’d say that as long as they’re happy, you shouldn’t set an upper age limit. Kids will lose interest on their own as they naturally age, but until they do, there’s no reason to hurry the process along. If anything, children are abandoning traditional toys such as doll’s prams in place of gadgets and devices at far too young an age, and holding on to their youth can hardly be a bad thing! This said, once children hit the age of about eight or nine, doll’s prams may be a little small for them, so they might be more comfortable using an old full-size pram or pushchair (perhaps one that they themselves were pushed in!). What Size Is Their Doll? It’s not just the size of your child that you’ll have to take into account, but also how big their doll is. For example, much younger children might start out with a small doll or teddy of only a few inches, in which case you’ll only need a toy pram. However, as they get older and have more lifelike dolls which represent real babies, they’ll inevitably need a pram which is more realistic too. Generally speaking, if your child’s doll is about 12 inches or more in length, you’ll want a proper replica doll’s pram. For example, our doll’s prams fit dolls up to a size of 46 to 54cm (18-21in) depending on the model. 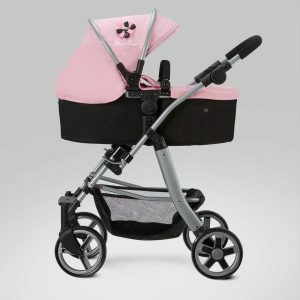 Doll’s prams are available at a wide range of price points, from basic to luxury. How much you want to spend will vary from family to family and how much use you think your child will get from the pram. One thing we will say though is that doll’s prams are long-lasting and timeless gifts which your child will hopefully enjoy playing with for many years to come, so you can probably justify spending that little bit extra for a top-quality model! Was Your Child Pushed In A Silver Cross Pram Themselves? 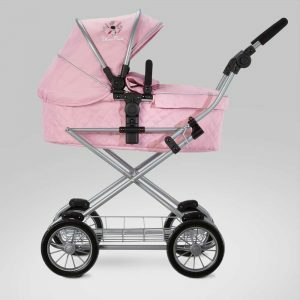 Silver Cross prams are among the most popular in the UK, even being a favourite of the royal family themselves. So if you chose a Silver Cross pram to push your little one in while they were younger, how about buying them an exact replica so that they can push their dolls just like mum and dad used to push them? While some prams will have fixed wheels at both the front and the back, you’ll probably want swivel wheels at the front as this makes the pram a lot easier to manoeuvre, especially on rough terrain, which is extra important when it’s being pushed by a little person. Some doll’s prams which are more realistic will have brakes on the wheels, which is important to make sure that your little one’s dolls don’t roll away! We don’t want our teddies and dolls flying out of the pram, so many doll’s prams will include a safety belt to keep them safe. For some, this might just be an aesthetic feature but if you’ve treated your youngster to a more expensive doll, you’ll probably want to make sure it stays safe! Most doll’s prams, especially stroller style ones will have storage space or a basket underneath the pram itself so that children can put all their toys underneath and push those around too. Now that you hopefully know what type of dolls’ pram you’re looking for, let’s take a quick look through our product range here at Play Like Mum. This versatile pram is based on the hugely popular Pioneer from Silver Cross with a total of five different configurations for your little one and their dolls. The pram can be set up at either a traditional stroller, a pushchair which faces either way or even a carry cot, making it ideal no matter what size of dolls your little one will be looking after. The adjustable handles mean that it’s suitable for children of a range of heights and ages, and swivel wheels on the front make it super easy to control. For a slightly more affordable option, we also have the Silver Cross Pop Doll’s Pushchair, a great all-rounder with features such as an extendable hood, soft-grip handles and a handy shopping basket underneath. It also folds fully flat so that it can easily be packed away when it’s not in use, or to be put in the back of a car. It’s our most popular dolls’ pram and comes in two gorgeous colourways which match the grown-up versions produced by Silver Cross. Because we know that they’re never content with just the one, the Pop Twin model allows your little ones to push two of their dolls or teddies side by side. Other than the fact that they accommodate two, they’re almost identical to the single version, with the same retractable hood and shopping basket. Finally, our favourite of our Silver Cross doll’s prams, the Sleepover imitates its super-stylish real life equivalent and doubles up as both an elegant pram and a forward and rear facing pushchair. With soft-grip handles, a hand, removable shopping tray, retractable hood and sprung chassis, it’s the ultimate way for your children to carry their dolls in style. So now that you’ve got a bit more idea what kind of options are out there, feel free to browse our full range of Silver Cross doll’s prams and give your child the gift of imagination!